February 18, 2013 may prove a monumental day in the modern history of Egyptian Christianity. 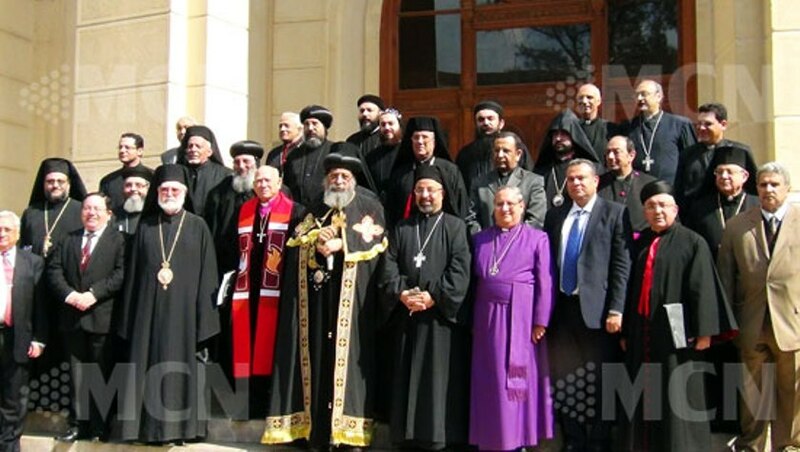 Heads of the five largest denominations – Coptic Orthodox, Catholic, Protestant, Greek Orthodox, and Anglican – created the Egyptian Council of Churches. Since the dawn of Catholic and Protestant missions in the 17th and 18th Centuries, Egypt’s Christians stand united. “The Lord has answered prayers which have been offered for thirty years,” said Baiady. “Our diversity must become a source of richness rather than a struggle. Please click here to read the whole article, containing quotes also from the Catholic and Anglican representatives. It is a good step, a formal admission to the unity asserted by most Christians I know here.